The Porsche 962 is a sports-prototype racing car built by Porsche to be a replacement for the 956. Introduced in 1984, the car quickly became successful through private owners and racers. It achieved a remarkably long-lived career, competing into the mid-1990s, before it was replaced by the Porsche WSC-95. 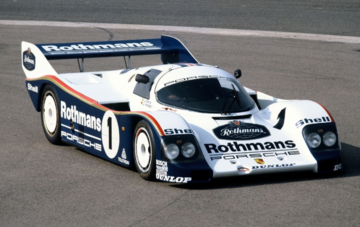 The Porsche 962's engine was a 3.0 liter Porsche Type 935 KKK twin-turbocharged Flat-6, RMR layout. Some notable drivers of the car were Mario and Michael Andretti.